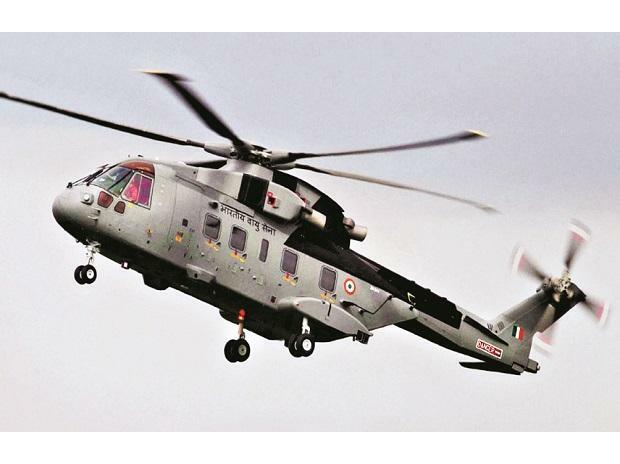 The Enforcement Directorate (ED) has found fresh evidence to show that the alleged kickback of 30 million euro, which Christian Michel had received for facilitating the AgustaWestland chopper deal, was routed to six persons to their overseas accounts. The kickback money is learnt to have been parked in around six to seven countries — mostly tax havens. ALSO READ: Christian Michel knocks Delhi court's door for special cell in Tihar The probe agency suspects that these six persons, who seem to be the ultimate beneficiaries of the alleged scam, were instrumental in signing a contract with the government in 2014, sources said. Michel is among the three middlemen facing money laundering charges in the Rs 3,600-crore VVIP chopper scam. The others are Guido Haschke and Carlo Gerosa. ALSO READ: Friendship between Christian Michel and Cong 'time-tested, deep': Amit Shah The probe agency has issued letter rogatory (LR) to six countries seeking judicial assistance to find the genesis of complex money trail between Michel and these persons, said a senior official privy to the development. However, Michel is not cooperating with the agency during the custodial interrogation ending in 48 hours, the official said. He will be presented in the Patiala Court on Saturday. “The interrogation is underway. He has been confronted with fresh evidence showing that he has received the money even though the deal had been called off. Later, the money went to multiple accounts abroad,’’ the official said. The ED is hopeful that Michel would reveal the names of the beneficiaries and the role of accused persons in the commission of the offence, he said. Michel, who was extradited from Dubai recently, was arrested by the ED on December 22 and sent to seven days of custody over money laundering charges in the case. ALSO READ: AgustaWestland case: Christian Michel named 'Mrs Gandhi', ED tells court Sources pointed out that the probe agency has learnt about the modus operandi that the alleged accused adopted to pursue the deal at various levels. Meanwhile, the probe agency is also seeking clarity on the names, connect and relationships Michel has referred to in the statement to ED. ED, in its remand application, had presented Michel’s statement, referring to the Gandhi family’s involvement in the deal. His statement, however, is pending on key findings to understand the motive and conspiracy. But sources said it was quite clear that kickbacks were given not only to Michel but to other people, including bureaucrats and politicians, who were involved in influencing the deal.